This beautifully crafted bridle is made from the finest leather. It features a raised nose and brow band with padded nose, brow and headpiece for extra comfort. The headpiece is also cut away at the ear position for movement and extra comfort. Complete with rubber reins. 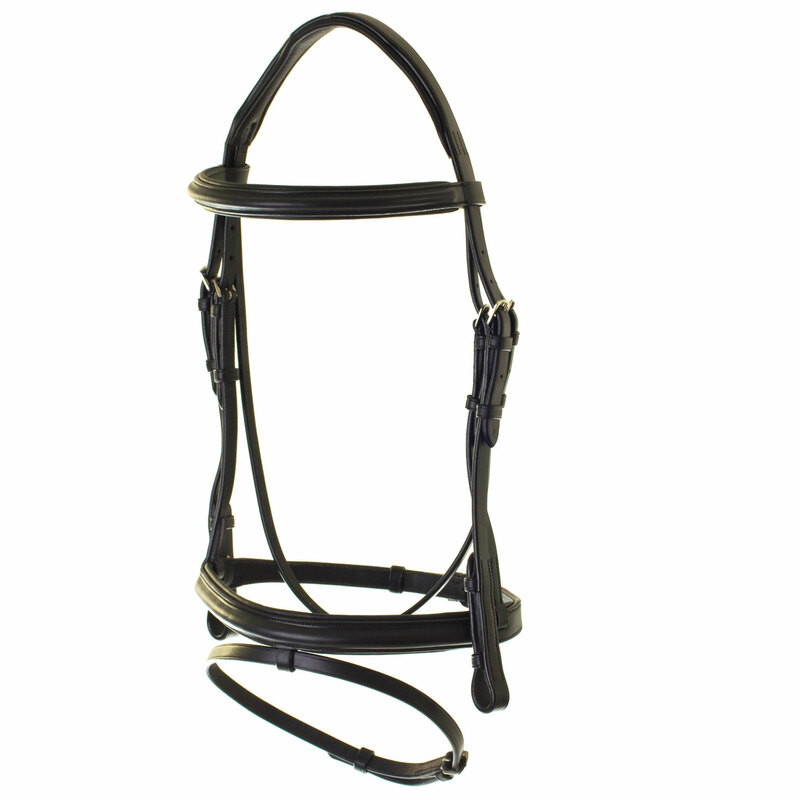 This bridle is pure style and performance. Made with English leather. There are currently no questions for HyCLASS Deluxe Padded Headpiece Flash Bridle - be the first to ask one!